4K Spotlight: Zach’s Rodeo Fundraiser. There are many fundraising ideas out there. We see many of our 4K for Cancer participants hold t-shirt fundraisers, bake sales, and restaurant night, but there are many other unique opportunities. It just takes a bit of time to find the one right for you, your audience, and your resources. Zach Shaps, 4K Team Seattle Director, did just this and found the fundraiser perfect for him and his community. Learn more about his Rodeo Fundraiser held in Bandera, Texas and raised over $2000 for his 4K for Cancer fundraiser. I did a competitive Ranch Sorting event, AKA a Texas Rodeo! What did the rodeo include? The rodeo was a two day event, where people paid both an arena fee and an entry fee of $20 per round they compete in. We also broke the sport up based on competitive class so all experience levels could compete! If you could do it again, would you change anything? If done again, I would probably include more events – apart from ranch sorting. 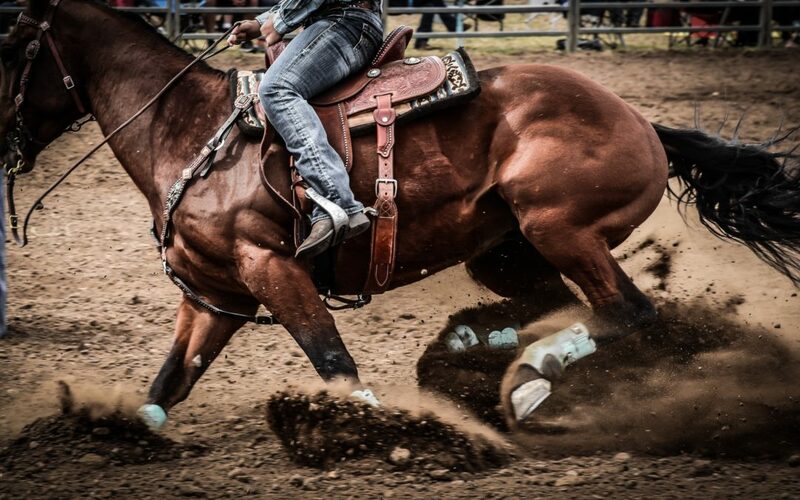 Around Bandera, TX, we have a lot of bull riding competitions, barrel racing, and other equestrian sports. I’d love to see more inclusion, which can bring more of the community together! The event took roughly 3 months to plan. We had to plan the date, the arena, and take advances on some of the entries. It also gave plenty of time for us to advertise the event to the right audience. How did you advertise it and how many people showed up? We primarily advertised the event via social media, making regular Facebook posts and “cold-call” messaging. We also got the word out through word of mouth, and putting up fliers at local businesses. Were you able to get things donated for the fundraiser? After reaching out to a few businesses, we were able to get a few cash donations, one gift certificate from a local restaurant, and the entire arena site donated! That allowed all of the arena fees collected to go straight to the Ulman Foundation! How did you make the money through the fundraiser? We collected entrance fees, but the majority of our donations came from the community. I spent plenty of time on the loud-speaker announcing the raffles and speaking about the Ulman Foundation’s mission. By the end of the weekend, we had over 20 people giving personal donations to my fundraiser! Anything else important to add to describe the rodeo? Overall, the event’s success spoke volumes on the importance of audience fundraising and targeting your fundraisers to your community. I spoke about this on my Facebook post, but I think it’s important to gauge your community and get a sense of what will be both successful fundraising-wise, and what will bring the community together as a whole. You can always create novel events, but using traditions always pays off!